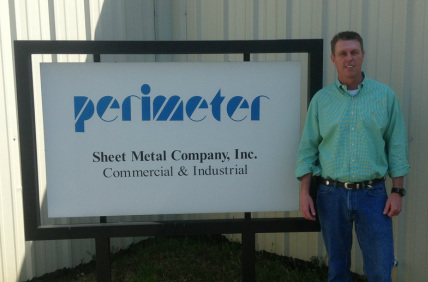 Perimeter Sheet Metal Company, Inc.
Perimeter Sheet Metal Company, Inc. was founded as a partnership in 2001 by Mr. Ray Malcolm Sr. and Mr. Greg Boling. Combined the two partners have over 60 years of experience in the industry. They firmly believe that delivering great craftsmanship, ensuring 100% customer satisfaction, and completing projects under schedule and under budget is what separates Perimeter Sheet Metal from other companies. 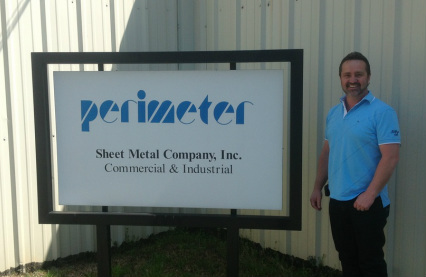 Perimeter Sheet Metal is located just south of Atlanta, and currently conducts work in Georgia and surrounding states. Perimeter Sheet Metal Company is a proud member of the SMWIA union Local 85, and is also a drug free workplace. In 1980 Ray entered the apprenticeship program through local 85, and completed his apprenticeship in 1984. Once turned out of the apprenticeship program in 1984, Ray immediately began running work as a foreman. Ray was later promoted to general superintendent managing over 200 employees. Ray's past experiences help him make the critical decisions he makes on a daily basis within the company. In 1985 Greg entered the sheet metal industry as an estimator. As his knowledge progressed Greg was later hired by a competitor company to become a lead estimator in 1989. Greg is currently one of top estimators in the southeast providing customers with design build pricing, budgets, GMP pricing, and other estimating demands needed. Greg's vast knowledge of estimating and project management make him a vital asset on the money side of the firm.